DIMENSION: Each spool measures 10mm in diameter and 58mm in length. Each coil is 20mm in diameter and 10mm thick. 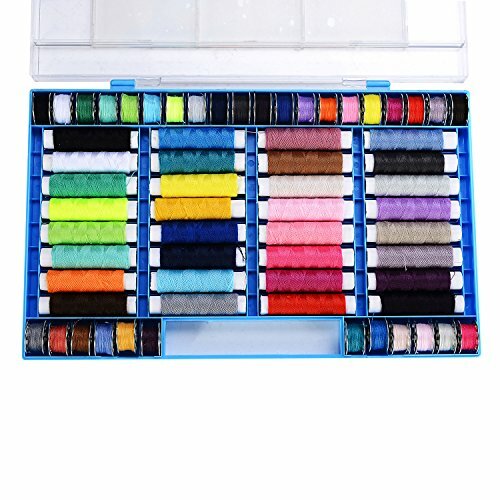 GREAT FUNCTION 1: Assorted colours sewing thread meet your various requirements for DIY sewing, such like jeans, leather clothing. GREAT FUNCTION 2: Metal coil bobbins are fit for most types of home sewing machines: Brother, Babylock, Janome, Kenmore, Juki and etc. 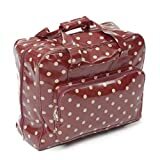 SOLID PLASTIC CASE: The bobbin case is great for storing bobbins and let your hand sewing and machine sewing in an orderly way o store alongside the sewing machine. WARRANTY : We Offer A LIFETIME Warranty On Our LIHAO sewing threads. If you are not satisfied with the products, let us know and we'll give you a refund.